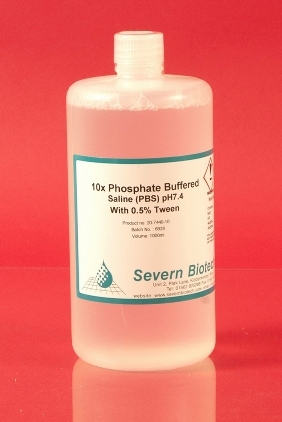 10X Phosphate Buffered Saline (pH 7.0) is 0.2micron filtered and autoclaved sterile. 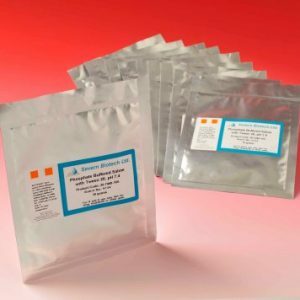 This product is made up to the Dulbecco’s formulation ubiquitously used in bioscience laboratories and is supplied 10X concentrated. 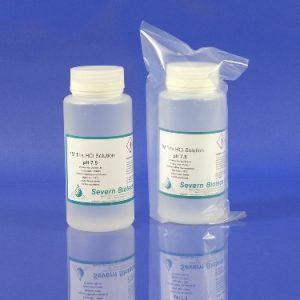 Simply dilute 1 in 10 to working strength. 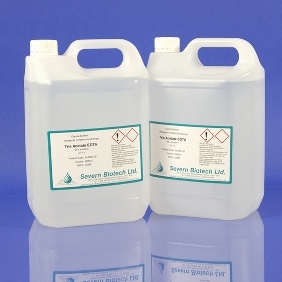 One litre will make 10 litres of 1X PBS. 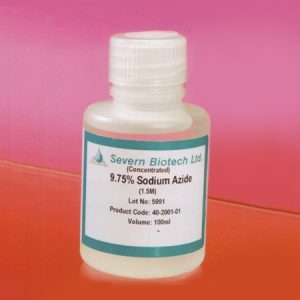 Supplied as pH 7.0 the pH increase with dilution, to pH 7.4.